Erwin McManus, pastor of Mosaic Church Los Angeles, says he wants to guide this generation out of being devil-blaming into warriors of peace who take ownership of their lives. 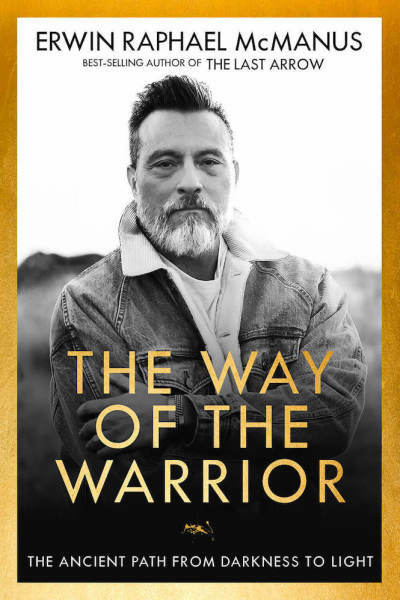 McManus says The Way of The Warrior: An Ancient Path to Inner Peace, is “the most important book” he's ever written, and will equip readers with the weapons they need to fight like a warrior and conquer their fiercest enemy (themselves) to take back their lives. 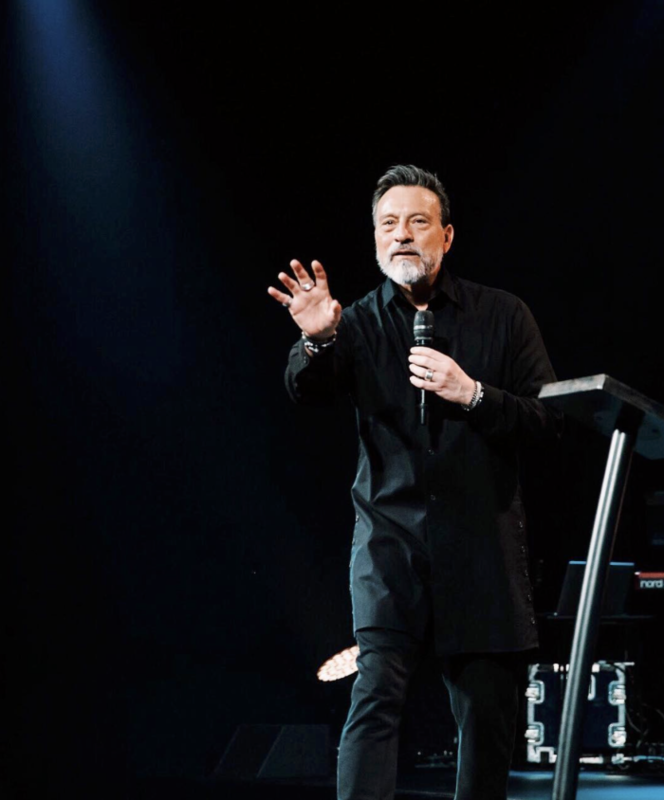 In his book, McManus highlights teachings from biblical heroes such as Adam, David, Solomon and Elijah, and unveils eight dynamic codes of the warrior he believes are a timely message for this generation. "So much of the book surprised me as I was developing it. I felt like chapters were unwrapping themselves to me. I format this book as an old samurai mentoring a young samurai and teaching them how to live life where violence doesn't take over their soul but they only live to create peace,” the pastor explained. “That chapter talks about ownership. I think it's one of the most important concepts in the entire book. [It says,] if you do not take ownership for your life, you will become powerless to change your life. If you don't take responsibility for your failures, you're never going to be able to step into the [next] level of success,” he maintained. The El Salvadorian native explained that he took that framework and directed the readers to take ownership of their lives if they want to change. McManus pointed out that one's fiercest enemy is themselves because most people are quick to blame the devil for things they just won’t take ownership of. “They blame everything on the devil and so they are powerless to change,” he declared. "I think it's a dangerous thing because a lot of Christianity in America still believes in magic and we're not dealing honestly about the human dilemma, it's not even biblical,” McManus continued. “We keep giving the devil characteristics as if he's God's brother. The devil is not all powerful, all knowing, and all present. The devil can't attack everyone because the devil can't be everywhere. The California-based minister believes most people are messing up their lives all on their own. “If we don't take ownership and responsibility for our lives, we're going to keep blaming the devil and he's going to sit back and go, 'we didn’t have to do anything, they're doing it to themselves,'" he emphasized. The Way of The Warrior speaks to those of all ages who are struggling with anxiety, stress and depression. McManus pointed out that people today are inundated with information that adds to the anxiety of the world. "I think the human spirit, our psychological construction, we're not really prepared to take endless amounts of the psychological barrage that we now have through massive information, social media,” McManus said. “I think you have 12-year-olds who are handling the emotional weight that full-blown adults would never have experienced 100 years ago. He maintained that the average American has more information than a president did just 50 or 100 years ago. "We're more aware of what's going on all over the world than any world leader during World War II. This is what children are dealing with, this is what 22-year-olds are dealing with,” he lamented. McManus also pointed to the pressure young people feel to be perfect because mistakes now have the potential to go viral and ruin someone's life. “If you made a mistake in 1950, your family might know, one or two people might know, there might be three or four people whose trust you have to regain or who you had to process shame and guilt with. Now if you make a mistake, a million people might know in a matter of minutes. So the consequence of your action is multiplied at an exponential rate,” he added. McManus acknowledged that no one’s built to endure that psychological weight of guilt, shame, fear, worry, stress and anxiety. “It’s multiplied at a level that I don't think the human spirit has been structured to handle without an immense amount of that resilience,” he accentuated. The emerging church leader revealed that he used the word warrior to illustrate what God gave him to share in this book because he loves to reclaim language and use words the way they should be used. "The women who are fighting this battle, they're warriors, the men who are fighting this battle, they are warriors. When you're dealing with hitting head on depression and suicide and anxiety and panic attacks and worry and fear, this doesn't make you a coward, this means you have the courage to rise up and live the life you were created to live,” McManus reiterated. McManus, who has overcome his own battles with depression after fighting cancer, has written 10 books but believes The Way of The Warrior contains a most urgent message that God wanted him to share. "I have a sense this is the most important book I've ever written. I have never felt an intense passion or almost like urgency to get a book out in my life. This time, it feels very different for me. I feel like we're at a critical urgent time in our culture. I have a deep sense that there are people who need someone to speak into these issues in their life,” McManus added. For more information on The Way of The Warrior visit McManus’ website. Megachurch Pastor Erwin McManus Answers: Is Jesus the Only Way?